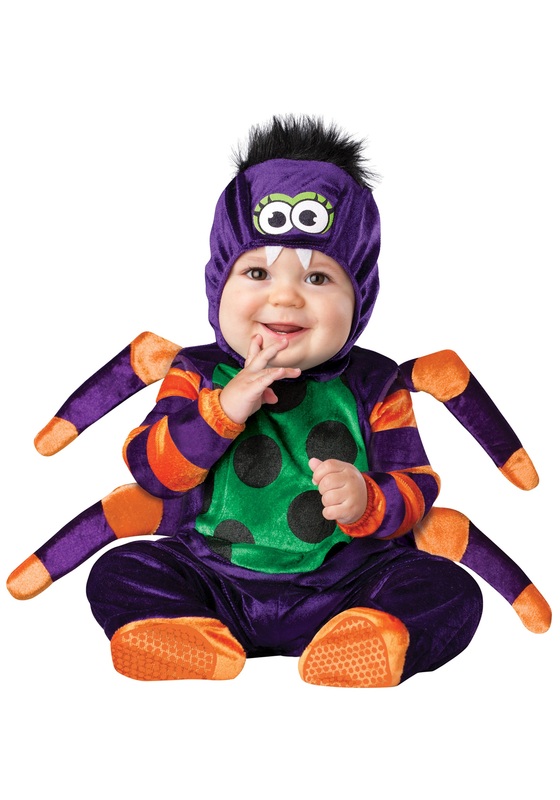 This baby teeny weeny spider costume is too cute to be scary! 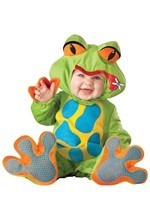 The 100% polyester jumpsuit for infants is purple with a green polka dot belly. The arms of the jumpsuit have orange stripes on them. There are two orange and purple striped spider legs attached near the arms on each side of the jumpsuit. The jumpsuit has velcro at the back of the neck and snaps at the bottom for easy on and off. The feet of the jumpsuit have orange, skid-resistant soles. A purple hood with green spider eyes and two white fangs on it is also included. The hood has black faux hair on top and velcros beneath your child's chin. 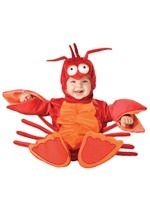 This is a cute storybook costume idea for infants!